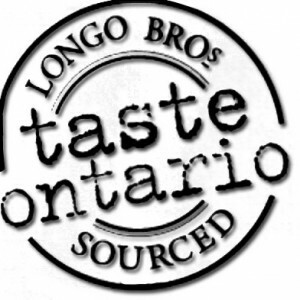 One of the things that really excited me about the opportunity to be a Longo’s Taste Ontario Ambassador was the opportunity to tag along on the Longo’s Field Trips. These Field Trips take the Longo’s staff out of the store and out into the field, literally, to learn about the food they sell from the people who produce it. And the best part is that I get to go on some of them! They’ve had trips to New Zealand, Greece and even Belgium to learn about the Belcolade chocolate-making process. Last month, the Cheese Experts went down to Wisconsin for a hands-on experience making cheese. Their Seafood Experts had a Field Trip to visit True North Salmon (aka Cooks) in New Brunswick where their fresh Atlantic salmon is sourced. They were there for a multi-day tour to learn about aquaculture and salmon farming. I just happened to have gotten a 3 hour tour on my own (well, with my dad) a couple of days before they arrived, but the Longo’s team was there for days touring the spawning tanks, the farming operation and the processing plant. I love that Longo’s does these Field Trips and gets their staff out into the field to meet with their suppliers and producers. It’s kind of cool that their staff get to go on company sponsored Foodie Adventures! Besides, these Field Trips are a great way for Longo’s to connect with their partners, team build and to educate their staff about the products they sell in a way that simply can’t happen if they stay in the stores or head office. It’s nice to know that they care enough about their staff to give them these opportunities to learn. It benefits the team, but frankly, it benefits us the buyers too. It’s also nice to know that if I’m asking questions about the food I’m about to buy the staff has a deeper knowledge than where the carrots are piled or what the packaging says about the cheddar cheese. Most recently the entire team of Produce Managers went on a day long tour of an apple orchard and apple packaging site in Newcastle, which I was invited to join in on! They can also tell you that blossom thinning is also the way to elongate Red Delicious apples . The fewer fruit on the tree the more nutrients each apple will get, the longer it will grow and the more “pleasing” the shape will become so they look like everyone expects a Red Delicious to look. I was lucky enough to be able to tag along on the Orchard Tour with the Produce Managers and not only learn about the apples grown at Wilmot Orchards which are packaged at Algoma Orchards one of Longo’s primary sources of Ontario apples, but they also be regaled with tales of Longo’s recent Field Trip to California. (Regaled/teased, same thing right?) There they got to visit and tour a number of farms including an artichoke farm where Rosanne told me her father completely enjoyed himself out in the field harvesting showing her how to pick artichokes like he did when he was a kid. What a fantastic way to learn about the food they are selling in their stores and to continue to develop the family feel of the Longo’s team.